The boss of a personal claims management company, who lived an “extravagant lifestyle”, has been jailed for 21 months after being convicted of fraud. Bury-based Darren Christopher Bullough appeared at Bolton Crown Court on Wednesday after he pleaded guilty to one count of fraudulently removing funds and another count of failing to provide company books and records to the liquidator. The court heard that Direct Assist Ltd was first incorporated in June 2007, with offices in Bury and Bolton. Mr Bullough, 46, was the sole director but seven years later, the company struggled financially after losing a client who was its main source of business. 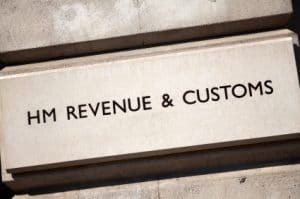 This resulted in HM Revenue & Customs lodging a petition in September 2014 to wind-up Direct Assist over a £658,000 unpaid tax bill. However, following the petition, a substantial amount of money was removed from the company’s accounts. The company bank account was frozen to stop any more funds being removed, as well as preventing creditors losing out further, and after Direct Assist formally entered into compulsory liquidation in March 2015, an investigation was launched by the Insolvency Service. The service said its enquiries were made difficult as investigators could not find any evidence of company records from July 2013 onwards. However, they discovered that in the months before the winding-up order was made, Mr Bullough fraudulently removed close to £51,000. Around £28,000 went to family members, £3,600 worth of cash was removed from the company’s bank account and £18,500 was spent on Direct Assist’s credit card. He made his first removal just one day after the winding-up petition was presented to the courts. At court, Judge Stead also made a director’s disqualification order for seven years. John Fitzsimmons, chief investigator for the Insolvency Service, said: “Darren Bullough was well-known as someone who led an extravagant lifestyle, spending money on expensive property and fast cars. But he recklessly removed funds from his business knowing that Direct Assist was in financial difficulty.